Kordsa received the Best Performed R&D Center of Turkey Award according to the Turkish Ministry of Science, Industry and Technology 2014 R&D Centers Performance Index. Our R&D Center is also ranked Number 1 in textile category for a three consecutive years. Kordsa, received a bronze prize in textile and raw materials category for contributions to the foreign trade in Turkish economy. Kordsa gathered business and academia partners to talk about open innovation at the 24th Quality Convention in Istanbul. Session was moderated by national broadcaster, Şirin Payzın. Kordsa CEO Cenk Alper, Prof. Dr Hasan Mandal from Sabancı University, Assoc. Prof. Dr. Ersin Acar from Boğaziçi University, and DuPont Global Marketing Director Imre Horvath were present at the session. Kordsa encourages all its employees to take the lead in social affairs in a responsible and sensitive manner for the benefit of the society, wherever it operates. In other words, reinforcing our society, our environment is a key responsibility for Kordsa employees. 20% of Sabancı Holding’s Kordsa shares are traded in Istanbul Stock Exchange, and trading volume reached 29%, marking an increased market value for Kordsa. Kordsa was listed sixth in the list with 14 pending patent applications within six months. Kordsa rose up four places in the League in a year. Kordsa’s energy management policy has been awarded the ISO 50001 certification both in Turkey and in Germany. The winners of Improve Inovalig Awards have been announced. Kordsa has been honored by being ranked the first in the Innovation Strategy category. Kordsa received the grand prize from Sustainable Development Turkey (SKD) in "Great Company - Best Environmental Innovative Application" category in the Innovative Sustainability Practices. Each year, Kordsa leadership teams from all over the world get together at the Global Leadership Summit (GLS). Based on our values and aims stated above, we wanted to create a difference for children during this year’s summit by reinforcing their everyday environment. Yıldız Technical University Wind Energy Club, working on composite reinforcement project to produce a wind-powered vehicle, is getting ready to compete in the “Racing Aeolus Den Helder”, the largest sustainability race in the world that takes place in the Netherlands. Kordsa Composite Technologies has provided carbon fiber support for use in the production of wind-powered car produced by Yıldız Technical University Wind Energy Club. According to a survey conducted by the "Great Place to Work Institute", among nearly 40 companies in Brazil’s Bahia state, Kordsa outdistanced many competitors to take 7th place in the list of best companies to work for. Speaking of the company's success in this area, Cenk Alper said, This is the result of the high-standard HR management that we implement as an employee brand in our business operations on four continents. 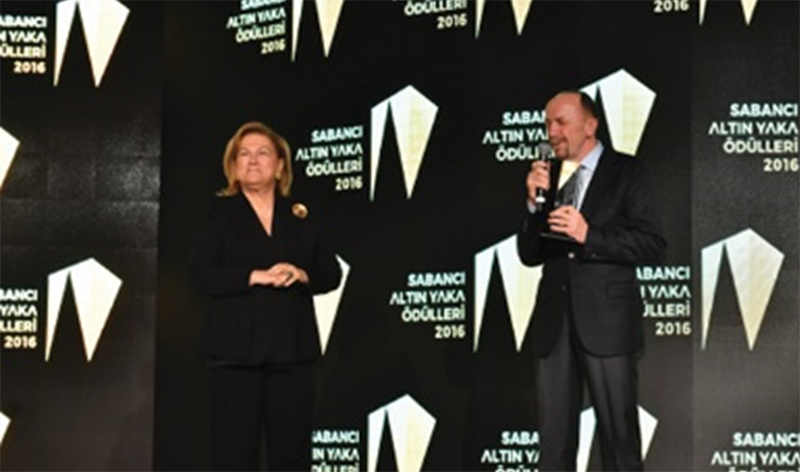 The 7th Sabancı Holding Golden Collar Awards were held at the Sabancı Center. The ceremony began with an opening speech by Ms Güler Sabancı, Chairman of Sabancı Holding, continuing with a welcome address by Mr Zafer Kurtul, CEO of Sabancı Holding. During the ceremony, Kordsa's Reinforcers received 3 championship awards and 1 honorable mention. The YTU RACING Team was established to participate in Formula Student, the world’s biggest annual student engineering competition, which helps students transform their theoretical knowledge into practical experience and knowhow. The Pehlivan Team was formed by students at Trakya University who continue their innovative studies under Kordsa platinum sponsorship. Within the scope of the company’s “Reinforcing the Future” theme, Kordsa Global CEO Cenk Alper met with students from Yaşar University, followed by members of the Manisa Young Business People Association. Kordsa CEO Cenk Alper spoke at the “Future of Manufacturing Summit” organized by the Financial Times in London. Addressing the session on “Remaking Manufacturing – Circular Economy Opportunities”, Alper explained the link between maintaining a sustainable brand, the manufacturing process, and the value created for customers. After being selected as the best R&D Center of the Year in 2014, Kordsa was ranked among the best R&D Centers nationwide in Turkey in 2015 as well, according to the Turkish Ministry of Science, Industry and Technology’s Performance Index for R&D Centers. Best Employee Award Goes to Indonesia for its “Safety Experience Center” Project! Representatives of the Employers’ Union and the Bogor Region Union have been introduced to Kordsa’s “Safety Experience Center” project, realized within the scope of Total Productive Maintenance in Indonesia. Kordsa leader who realized the project was named “Best Employee”. Every year, Kordsa holds a Global Leadership Summit (GLS) where it takes leaders from its production facilities all over the world. Once again, this year’s leaders did their bit to reinforce the future. Kordsa’s reinforcers this year renovated a school in İzmit, renewing the pre-school and elementary school heating systems and whitewashing the school’s walls. Kordsa has participated in the Istanbul Airshow held at Istanbul’s Ataturk Airport. Its innovative tire products and examples of composite reinforcement technologies were showcased to visitors to the fair. A representative of one of the most prestigious MBA schools in the world, INSEAD, has paid an innovation visit to Kordsa. Kordsa held the opening of the “Reinforcement Center” established to maintain and improve standards of work excellence, with the participation of Kordsa CEO Cenk Alper and the top management. A New Safety Experince Center, established in accordance with the principles of Total Productivity Maintenance (TPM), has been opened at the Kordsa plant in Brazil. Kordsa continues to support university students who realize innovative projects. Kordsa Composite Technologies provided carbon fiber fabric for the wind vehicle Pardus16 produced by Yıldız Technical University’s Wind Energy Club. “The New Normal” was the theme at the Quality Congress, at which Kordsa CEO Cenk Alper was a panelist. Kordsa was the event sponsor for this year’s Congress. “Accident-Free” Goal Achieved Simultaneously at Two Ends of the World! Kordsa factories in Thailand and the USA reached their second accident-free man hours goals at the same time. Kordsa’s Deputy Director General responsible for the Middle East and Africa regions, Ali Çalışkan, participated in the “Export Under The Stars” summit. Kordsa has attended Composites Europe, held in Germany. Kordsa participated in Composites Europe, the most important meeting in Europe for the composite materials and equipment sector, attended by thousands of visitors every year. Invited to attend a workshop organized by the Turkish Quality Association (KalDer), Kordsa shared the details of the suggestion system it has been applying for years. The Composite Technologies Center of Excellence, established in collaboration with Sabancı University, received the Leed Gold Certificate, which is considered the most important certificate issued to energy efficient and environmentally friendly buildings. The conductor of Kordsa’s Asia-Pacific operations, Indo Kordsa, has received the Indonesian Export Award, which is given to companies thought to have contributed to economic development. Among the Best Employers in Thailand for the Seventh Time! Kordsa is one of the Best Employer Brands in Brazil! Kordsa achieved seventh place in the Best Employers list for Bahia region, by Great Place to Work Institute. Kordsa has undertaken two corporate social responsibility projects in the USA. The İZBURS scholarship established by Kordsa Reinforcement Professionals and overseen by the İzmit Scholarship Association has completed its selection process for the 2016-2017 educational period. Kordsa employees in Brazil and the U.S. joined their little friends as part of new year celebrations. "Kordsa products should answer the necessities of our customers. My job is to ensure the quality of our products to reach the customer satisfaction. In order to do this, I have to know my product and my customer very well. And make agile and attentive decisions." Altan Göçmen shares how construction reinforcement technologies are integrated in our daily lives. "I'm working in construction sector. Building are at the center of life. Finding a shelter and being safe... I believe reinforcing construction is to reinforce the life itself. Providing safer buildings with increased durability is the key point. That's why we highly associated with reinforcing life itself." Kordsa, which was recently analyzed as a success story by INSEAD Professor Ben Bensaou for his book "Innovation Machine" due to its R&D and innovation practices, closed 2016 with a record number of patent applications. Supplying reinforcement technologies around the world from the U.S. to Thailand, Kordsa created 32 inventions and filed 103 patent applications in 2016 alone. With its business processes based on R&D and innovation, Kordsa maintains its leadership in innovation in the global reinforcement market with 411 patent applications and 128 inventions in total. "The use of composite materials in vehicles improves the environment in many ways. Composite materials enables our customers to produce much more lighter vehicles, which helps reducing the fuel consumption"
Kordsa participated in the Tire Technology Exposition in Hannover, where the latest tire industry technologies and trends are shared. While displaying its tire reinforcement technologies, Kordsa also shared information on its product Monolyx for heavy construction equipment with participants at the conference as part of the exposition. "As a member of composite team, i'm strongly believing that Kordsa will keep and further improve its success story by touching every aspect of life, listening their customers and employees thanks to its open innovation culture." Kordsa earned the ISO14001:2015 Environmental Management System certificate in Indonesia, following Turkey. Kordsa, a global player in the tire, composite and construction reinforcement market, participated in JEC World, the largest composites show in the world. The exhibition has been held in Paris since 1956 and took place between March 14-16 this year. 1,250 companies from more than 100 countries exhibited at JEC Composites World this year. The show attracted more than 35,000 visitors from all around the world. Kordsa, attending the most significant gathering of the industry for the fourth time, also hosted a group of journalists from Turkey. Laboratory Supervisor Çiğdem Soybeyli, shares her own reinforcing story! Kordsa got listed among the most ethical companies in Turkey for the fourth time. Working in line with its principle of respecting laws and ethical values in the countries it operates, Kordsa won the ETIKA Turkey's Most Ethical Companies Award for the fourth time, given to create awareness about ethics and business morals by the Center for Ethical Values Association. Operating in a wide geography from Americas to Asia Pacific, Kordsa's commitment to "ethics" as one of its 7 values is rewarded once again. Kordsa has been listed among the "Global 100 Companies" by the prestigious economics and business life magazine Platin, working together with Ipsos Research and Consultancy, and ranked in first place in the textile industry category. 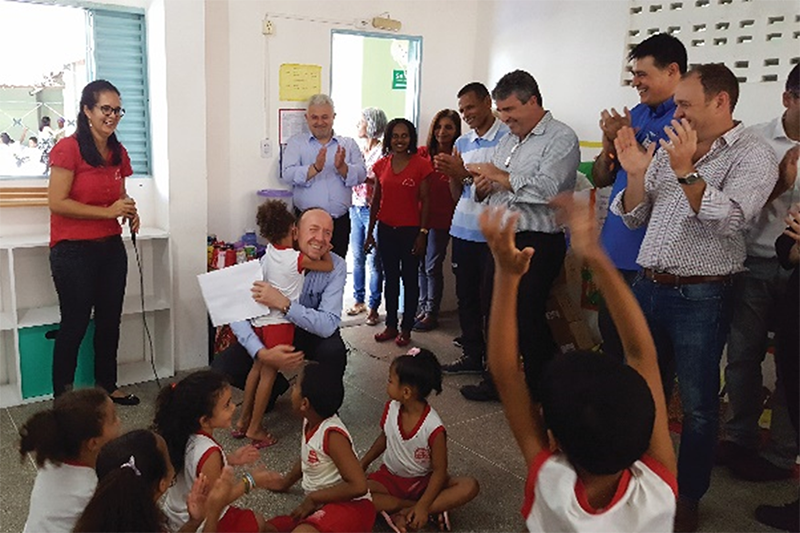 Aiming to reinforce communities in the countries it operates, Kordsa visited a school in the Bahia region of Brazil, within the scope of an Excellence Visit to its Brazilian plant. Entertaining the little ones with various games and activities at the school it supports through its social responsibility project, Kordsa will continue to reinforce the future with the help of its social responsibility projects. Kordsa North America professionals came together for a fresh round of "Leadership Training." Leaders joined various workshops during the three-day program that was built to develop operational excellence, and lean and e‑ective management. They worked on team building skills, and methods for personal leadership development and effective ways of working. Kordsa, a global brand from Turkey, has attended a meeting held as part of Indonesian President Joko Widodo’s official visit to Turkey as a special invitee of Joko Widodo. Kordsa left the Golden Collar Awards, organized for the 8th time this year, as the winner of four categories – including the "Creating Value" category –, an honorable mention, and a special award. Exporting technology to global markets with its mission to reinforce life, Kordsa celebrated once again its sustainable success and pioneering good practices with its employees. Kordsa will continue to reinforce the Sabancı Group with its novel technologies. Reinforcement technologies professional Kordsa are supporting projects at Yıldız Technical University and Trakya University in an e‑ort to introduce young people to composite technologies. In order to engage youth in composite technologies and to encourage them to be involved in technology, innovation, R&D and engineering, Sabancı Holding affiliate Kordsa introduced university projects powered by the company to the students of Kocaeli University. Mechanical engineering students of the Gajah Mada University paid a visit to Kordsa's Indonesia plant. The students had a busy agenda with presentations from Kordsa reinforcers and a tour of the plant, and they ran simulations of Kordsa's manufacturing and management processes. Kordsa aims to raise brand awareness in the minds of the future reinforcers through such get-togethers with engineering students. Sponsored by reinforcement leader Kordsa in an e‑ort to encourage young people to participate in technology, innovation, R&D and engineering, Yıldız Technical University student team YTU Racing has produced its fourth vehicle and took part in Formula Student East, one of the biggest student engineering competition. Kordsa Indonesia plant organized a blood donation campaign at Indokordsa. With its "Give Blood, Save Lives" slogan, Kordsa reinforcers invited other companies in the area to join them. The campaign served to create awareness among Kordsa reinforcers as well as throughout the whole organization and the companies involved. Kordsa has announced that in furtherance of its efforts to strengthen its already strong global leadership in reinforcement technologies, it has entered into a definitive purchase agreement to acquire two advanced composite technology companies in the United States. Following its Composite Technologies Center of Excellence investment, Turkey's first industry–university collaboration investment, Kordsa plans to acquire Fabric Development Inc.
Kordsa held a groundbreaking ceremony for an additional factory line in Izmit, Turkey to increase polyester yarn capacity by 7,000 tons. In addition to this new polyester yarn line investment, Kordsa also held a groundbreaking ceremony for the "polypropylene monofilament" line in the field of construction reinforcement. Kordsa received the third prize in the Innovation Strategy category at the Inovalig Awards held within the scope of Turkey Innovation and Entrepreneurship Week. Kordsa CEO Ali Çalışkan received the award from Turkish Economy Minister Nihat Zeybekçi and the president of the Turkish Exporters Assembly, Mehmet Büyükekşi. Kordsa participated in the Textile 4.0 Conference, which took place in Amsterdam on October 25–26, to share its practices in tire, construction reinforcement and composite technologies. Kordsa was awarded first prize in the textiles category at a prizegiving ceremony carried out at the 6th Private Sector R&D and Design Centers Summit. Kordsa CEO Ali Çalışkan was given the prize by Turkish Science, Industry and Technology Minister Faruk Özlü. Operating in tire and construction reinforcement and composite technologies from America to the Asia Pacific, Kordsa has once again renovated a school in Kocaeli, which is a reflection of its mission to reinforce life. The tire divisions of Kordsa, a leading international supplier of textile reinforcing materials for the tire industry, and technology company Continental are working together on a new, sustainable adhesion system standard for bonding textile reinforcement materials to rubber based compounds. Ali Çalışkan, Kordsa’s CEO, participated in the "Agility and Innovation" panel at the Third Excellence Summit organized by KalDer Kayseri, on October 18 at Kayseri Chamber of Commerce. Kordsa, participated in the Composites Europe 2017 fair held in Stuttgart, Germany between September 19–21 this year. Kordsa presented its efficiency solutions for the automotive and aviation industries, which are two of the most common areas of usage for composite materials. Kordsa, has released its annual sustainability report, which highlights the company's social, economic and environmental performance in 2016. Striving to “Reinforce Life”, Kordsa’s third sustainability report has been prepared in accordance with new standards released by the Global Reporting Initiative (GRI) in 2016. Kordsa is one of the first 100 companies worldwide to comply with these standards. 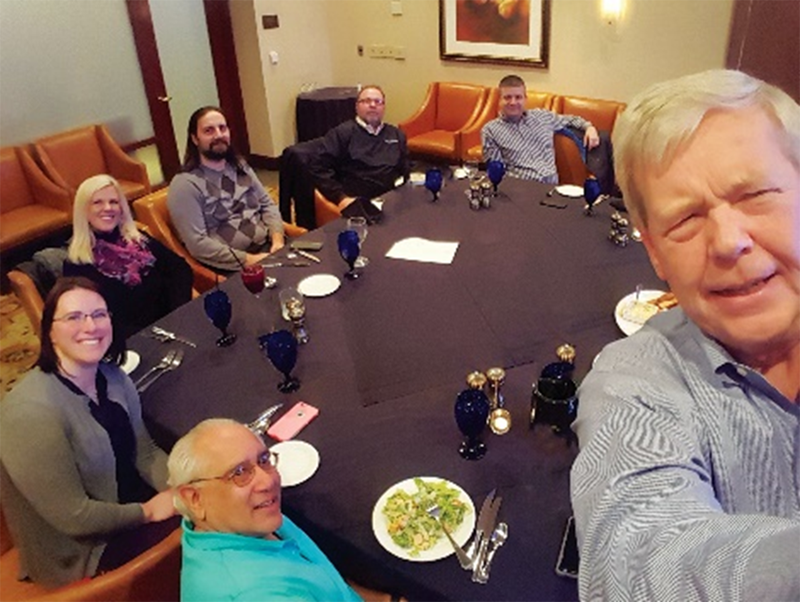 "The Reinforcer" Kordsa attended ITEC in Focus, which was held on September 13–14 in Akron, Ohio. This year, ITEC focused on reinforcements for tire performance. Kordsa was one of the sponsors of the conference, showcasing their brand and solutions to attendees. The Composite Technologies Center of Excellence, jointly established by Kordsa and Sabancı University, is positioned as a technology hub that brings together R&D, innovation and production under one roof in composite technologies. Kordsa participated in Turk Kompozit 2017, organized by the Turkish Composite Manufacturers Association between 5-7 October in Istanbul. Kordsa participated in the event with a booth and two presentations, and shared its latest innovations and solutions in composites technologies with participants. Kordsa continues its organic growth with R&D and technology investments while seeking for inorganic growth opportunities in composite business globally. Recently, Kordsa announced the acquisition of Fabric Development Inc. (FDI) and Textile Products Inc. (TPI), which provide advanced composite materials to the commercial aviation industry, with an investment of USD 100 million. Kordsa sees this opportunity as a very important step towards reinforcing its composite market position in the US as well as becoming a strong player in the growing aviation industry supply chain. Kordsa strives to attain sustainable growth in every country it operates and provide products and technologies that create value to its customers. As an output of these efforts, Kordsa is once again among the top 100 companies out of 355 publicly listed companies by Infobank, one of Indonesia's prominent economics magazines. Reinforcement technologies’ leader Kordsa’s manufacturing facility at Composite Technologies Center of Excellence, a technology hub inaugurated in cooperation with Sabancı University to bring industry and university together under the same roof, received BS EN ISO 9001:2015 ve EN 9100:2016 (AS9100D) certification, which is an international standard for quality and risk management in the aerospace and defense industry. Kordsa, reinforces its success and continues to establish its "Reinforcer" reputation through the awards granted in many countries as well as in Turkey. Kordsa’s facility in Brazil has been listed amongst the best employers for the third time in Brazil by the Great Place to Work Institute (GPTW). Kordsa has been ranked 4th place in Bahia, Brazil. Kordsa Brazil was the only industrial company to be included on the list. Kordsa Reinforcers participated in the 13th International Antalya Marathon for the third time. Kordsa, continuing its corporate social responsibility initiatives in an effort to reinforce the future, ran for Make a Wish Foundation, an organization that strives to grant the wish of every child diagnosed with a critical illness. BizBize management dialogue meetings, where all factory workers come together with the top management in Kordsa Turkey, started. In the meeting, while sharing information about goals and investments of Kordsa, on the one hand, activities were organized that bring creativity and teamwork at the forefront, on the other hand. Kordsa was ranked in first place in the industry category by the Instituto Euvaldo Lodi in terms of Best Practices in Internship Programs in the Bahia region, where it conducts its operations in Brazil. Encouraging trainees to participate in important projects, the opportunities it provided and, most importantly, an egalitarian approach to employees and trainees can be counted among the most important factors leading Kordsa to receive this award. Held on April 18-19 at Fairmont Quasar Istanbul, this year's theme of the Sustainable Brands was "Redefining the Good Life." Kordsa's Business and Market Development Director and Construction Business Leader Murat Oğuz Arcan participated as a panellist together with fashion designer Arzu Kaprol in a panel organized as part of Sustainable Brands 2018. The panel topic was "Designing the Future with Technology". Global Human Resources & IT Director of Kordsa, Nazan Keskin, is listed among Turkey’s most effective “Top 50 Chief Human Resources Officier (CHRO)” by Fortune Turkey magazine and DataExpert. For its contributions to the foreign trade in the Turkish economy, Kordsa was awarded in the textile category at the "TIM 25th Ordinary General Assembly and the 2017 Export Champion Award Ceremony" organized by the Turkey Exporters Assembly and with the participation of Prime Minister Binali Yıldırım on the June 30, 2018 Saturday held at the Istanbul Halic Congress Center. Kordsa attended JEC World 2018, the biggest composite technology show in the world. 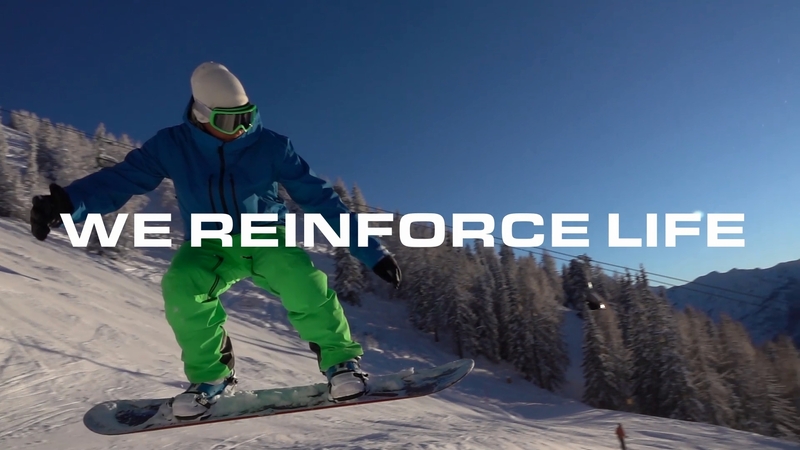 The reinforcement leader shared its expanding product portfolio and new technologies with the visitors. Kordsa’s CEO, Ali Çalışkan, was one of the jury members evaluating a total of 30 projects in 10 different categories at JEC Innovation Awards Ceremony, which took place as part of the JEC World 2018 to celebrate and honor the outstanding innovations of the industry. Kordsa attended the Movin'On Conference in Montreal. At the conference, formerly known as Michelin Challenge Bibendum, held by Michelin for more than 20 years, Kordsa made a presentation that emphasizes the need to lighten vehicles for efficient and sustainable mobility. Kordsa’s presentation also covered the differences that they could make in mobility with their composite technologies developed through their open innovation approach. The 2017 All Stars Awards in Kordsa, have found their owners for the 12th time. The rewarding system aims to recognize the improvement and innovation efforts within the company, as well as encourage and inspire other employees. The ceremony was hosted by Kordsa’s Izmit facility with live connections to Kordsa companies in USA, Brazil, Thailand and Indonesia. Kordsa exhibited its innovative products and tire reinforcement materials at the Tire Tech Expo 2018, in Hannover, Germany on February 20-22, which hosts world’s leading suppliers to tire manufacturing as one of the world’s premier tire technology showcases. Kordsa Reinforcers attended the Community Night event organized by their adopted school, Dupont Elementary School. Reinforcers served food and drink to students and their parents and had fun together. Kordsa provided training on the composite sector and its areas of usage during Sabancı University Summer School. Sharing details of composite technologies with high school students, the composite technologies business unit of Kordsa then informed the students about the Composite Technologies Center of Excellence, an open innovation hub, which is the first and only example of the university - industry collaboration in Turkey. Kordsa sponsored the Global Entrepreneurship Congress, amongst the most important summits of the global entrepreneurship ecosystem. At the "The Fourth Industrial Revolution” panel, Kordsa shared with participants its global collaborations and technologies, which reflect its open innovation mindset. Inaugurated in December 2017, Kordsa’s new production line of polypropylene monofilament fiber reinforcement, which is based in Kordsa's Izmit plant, became operational in June 2018. With this new investment in construction reinforcement technologies, Kordsa does not only increase its production capacity but also expands its product range. Kordsa’s dedication to carry out its operations and projects with people and nature at the core, is standardized with respect to the ISO 14001: 2015 Environmental Management Systems Standard, which results in efficient use of natural resources like energy and water, conservation of biodiversity and combatting climate change for all Kordsa plants. Kordsa has launched the Taks+ project in Indonesia to increase quality and productivity in its manufacturing processes. The project, which is an outcome of operational excellence approach, has allowed transferring the data collection, monitoring and tracking systems in manufacturing sites to digital media. Within the scope of the “Improvement Awards”, Kordsa awarded the best individual proposals and projects of 2017 presented by Kordsa Reinforcers. Together with Sabancı University, Kordsa hosted the Consulate General officials of the United States, Brazil, the Netherlands, Austria, Australia, France and Italy at the Composite Technologies Center of Excellence. Kordsa met the representatives of Holland Innovation Network at the Composite Technologies Center of Excellence. Kordsa met with analysts within the scope of Sabancı Industry Day. Kordsa shared information about the developments in tire, construction reinforcement and composite technologies, as well as its investments and objectives in 2018 and answered the questions of analysts.